You’re surrounded by numbers. Successful marketers need to be able to marry ideas and analytics. Without the former, your campaigns fail. Without the latter, you have no idea how your campaign actually performed. Measuring and testing simultaneous digital campaigns is one of the biggest challenges of being a marketer. Statwolf makes interpreting data easier. 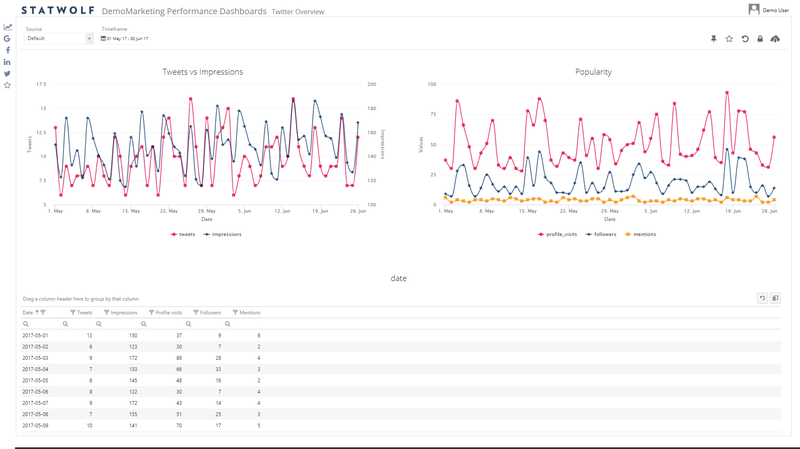 Thanks to state-of-the-art machine learning techniques, you can instantly call on advanced business analytics to get a single holistic view of performance. 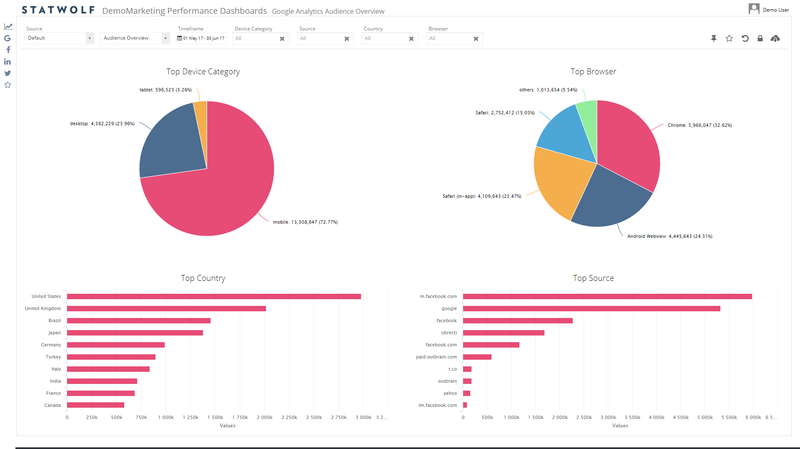 Input data from a wide range of sources, including ad servers, social media, landing pages, mobile apps and other digital components for fast, reliable campaign evaluation, presented in simple interactive charts and visualisations. 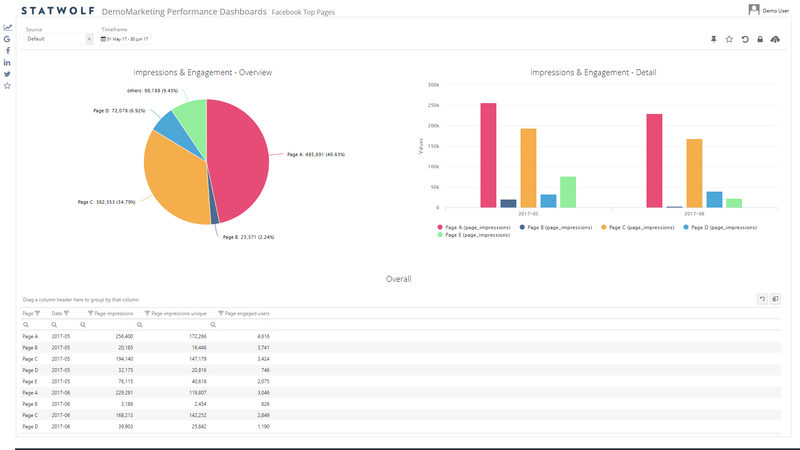 Our intuitive Digital Marketing dashboard makes data monitoring simple, and will add infinite value to your business so you’ll be able to create impressive reports for your boss while saving time so you can do your job more efficiently. 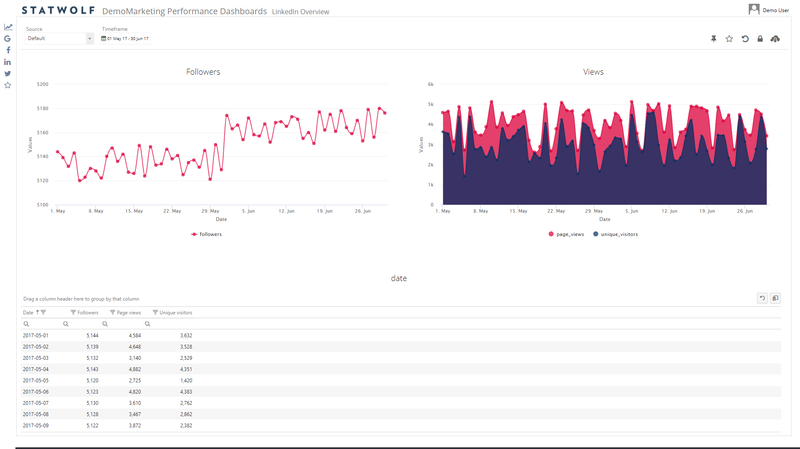 With the ability to report on live campaigns, and track their performance, you’ll be able to measure success, and quickly spot correlations between content creation and customer activity. SMB and Enterprise, to suit the size of your organisation.